The parish church of Saint Thomas of Canterbury traces its beginnings to 1978, when the congregation first rented space in an existing Philipsburg church to conduct its worship services. In the aftermath of the 1977 Congress of Saint Louis, several families of former Episcopalians living in Western Centre and Eastern Clearfield Counties of Central Pennsylvania, established a local parish that would become a part of the new Continuing Church in the Anglican tradition. Together they formed a new congregation, which strived to be true to the historic Catholic and Apostolic faith as received and practiced by Anglicans since Christianity was introduced in 595 A.D. to England by Saint Augustine, the first Archbishop of Canterbury. For several decades, Saint Thomas of Canterbury Anglican Church has grown and flourished, and has emerged as an integral part of the religious fabric of the Philipsburg-Osceola community. The present church building at 116 North Second Street was constructed in the 1980s and consecrated by the Rt Rev’d Thomas Justin Kleppinger in 1993. This church is dedicated to the extraordinary Christian witness of one Thomas à Becket, sometime chancellor of England under his close friend, King Henry II. 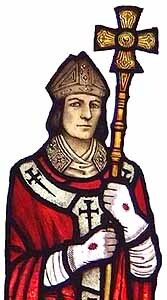 He later served Christ and His Church as Archbishop of Canterbury, from 1162 until his brutal murder by the king’s henchmen in 1170. 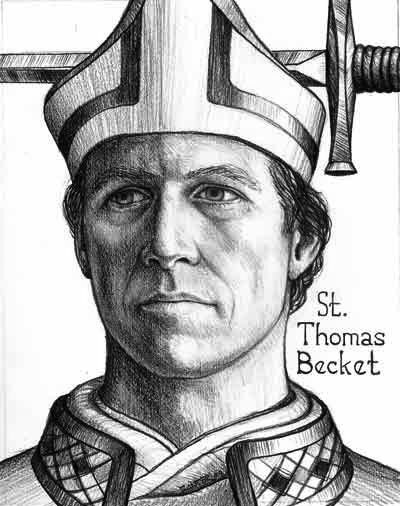 Saint Thomas of Canterbury, as Becket came to be known after his death and canonization, is the subject of T. S. Eliot’s renowned play, Murder in the Cathedral, and the celebrated 1964 screenplay, Becket. As Archbishop of Canterbury, Thomas à Becket followed his conscience. In doing so, he paid the ultimate price: martyrdom. Pilgrims flocked to visit his shrine in Canterbury, England, until it was despoiled by King Henry VIII in 1538. Those who read Geoffrey Chaucer’s Canterbury Tales, are already familiar with the story of Saint Thomas, and of the popularity of pilgrimage to his shrine.